With over 40 years of experience in sewer and water installation, replacement and repair Pine Enterprises has built its reputation by word of mouth. Our mission has always been a simple one, We do what we said we’d do, when we said we’d do it and for the price we said it would cost”, the result is over 40 years of never hacing to look outside for new clients. Pine Enterprises specializes in the installation, replacement and repair of residential and commerical sewer and water utility systems including backflow prevention maintenance and repair services. Pine Enterprises is one of the leading installers and tester of backflow devices in Georgia and Florida. Having installed over 5,000 of the major brands, Pine Enterprises has the experience, manpower and the required approvals/certifications to get the job done right the first time. 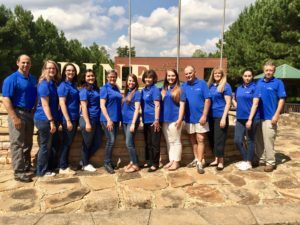 As a team, coupled with the support of our office staff, Pine Enterprises’ professionalism is of the best in the industry. To ensure our clients with the industries best service, all equipment is kept current to minimize downtime that could effect scheduling and provides increased efficiency. All crews will arrive to your project with custom designed trucks. With over 40 years of experience, our excavting equipment has been specifically selected for our type of installations. All associates are radio dispatched, enabling our management staff to maintain constant communicatins with all crews. This feature assures you that all of your requests are tended to immediately and allows us to re-position our associates at any time to assist your needs. Our custom designed tracking system programs can instantly confirm installation dates, test dates and any discrepancies noted to help maintain scheduling and job completions. We understand that, as a contractor or homeowner, customer service must be a primary concern. For this reason, we are proud to provide emergency service to our customers 7 days/week. This will assure you that your emergencies will be responded to immediately. When a customer is in need of warranty or repair, Pine is ready to perform.